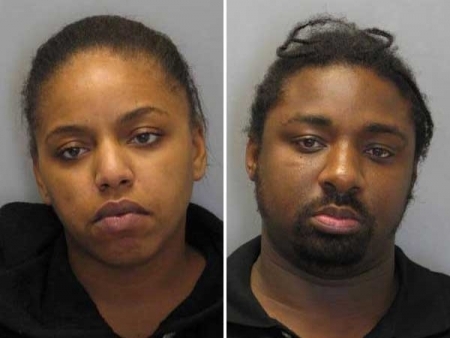 A Delaware mother and her boyfriend have been arrested for the death of her 4-year-old daughter. Police were called to the Budget Motor Lodge at 140 S. DuPont Highway in New Castle at 2:24 a.m. on August 8th where 4-year-old Autumn Milligan was found unresponsive on the ground. She was pronounced dead at the scene. Investigators determined she suffered multiple injuries including abdominal bruising days before and ruled her death homicide by blunt force trauma. The couple, 26-year-old Tanasia Milligan and 35-year-old Willie Reeder, were arrested on Thursday. They are charged with Murder by Abuse or Neglect, 1st Degree Recklessly Causing the Death of a Child, and Conspiracy 1st Degree. They are each being held on $106,000 bond. Philadelphia Police were able to track down the Chevrolet Suburban involved in a road rage incident with a school bus full of children yesterday. It happened Thursday on Roosevelt Boulevard near Devereaux Street. St. Katharine Drexel Students on the bus were exchanging words with a group of five women in the SUV. The SUV then cut off the bus and two of the women jumped out. One wielded a bat, hitting the bus, and breaking a window. The other sprayed mace. A student was injured by broken glass. Police used a partial plate written down by a student to track down the vehicle to the 2100 block of North 4th Street. The investigation is still ongoing. Two South Jersey high schools were put on lockdown this morning after a bullet was found. Atlantic County Institute of Technology and the Special Services School in Mays Landing were both placed under lockdown after the ammunition was discovered. The Atlantic County sheriff’s office reported that all students were safe and parents shouldn't report to the school. K-9 dogs were brought to assist in the search but no weapons were found.